The Dons Trust is the data controller of this information for the purposes of this policy. Keeping your personal data safe and secure is one of the top priorities of The Dons Trust and we ensure we give it the respect and security it deserves. This statement makes it easier for you to find out how we use and protect your information. If you think our policy falls short of your expectations or that we are failing to abide by our policy, please tell us. This policy applies to the personal data that The Dons Trust collects and holds about you when you become a member of The Dons Trust, create a website account and when interacting with this site. When you register to use or engage with any of The Dons Trust’s activities, goods and/or services, the minimum information we will usually ask you to provide is your name, email address, contact mail address, telephone numbers, year of birth and ask you to confirm that you meet The Dons Trust’s membership criteria. We may also ask you for additional information depending on the activity, goods or service you are registering to use or purchase. When you register or purchase tickets for activities or events, or purchase merchandise and other products from The Dons Trust and any other official offline sales channels, we will keep a record of your transaction, including what you purchased and when, and any information you provide to us to fulfil the transaction. This may include your name, billing information, telephone numbers and delivery address. Our payment provider is one of the highest security methods available. Our staff and contractors never have access to your full card details and we will not keep payment card information. If you contact us (by email, telephone or letter) we may keep a record of that correspondence. Your e-mail address is recorded when you send e-mail to us. We shall use it only to correspond with you or otherwise strictly in accordance with your instructions. We shall not under any circumstances divulge your email address to any person who is not an officer, a volunteer, an employee or contractor of ours and who does not need to know, either generally or specifically. We may occasionally contact you to ask for your feedback on The Dons Trust activities, products, goods and/or services so that we can make them better and more relevant. We may also contact you to ask for your feedback on matters related to the wider interests of The Dons Trust, including issues related to the ownership and oversight of AFC Wimbledon and the governance of football in this country. We periodically contact members of The Dons Trust to invite them to meetings of the Trust and to participate in formal votes of the Dons Trust. These votes include voting on formal resolutions submitted to members at Annual and Special General Meetings and voting for elections to the board of The Dons Trust. We may use publicly available postal address lists and the edited electoral roll to ensure that the information we hold about you is accurate or we may use this information, together with general market research information (for example, demographic information) to add to and enhance our database of members. Although we do not disclose your personal information to any third party (except as set out in this notice) we do receive data which is indirectly made up from your personal information, from software services such as Google Analytics and others. No such information is identifiable to you. For what purposes does The Dons Trust use your information? The Dons Trust may use account information and transactional information data, as necessary, to carry out or perform any contract which you may have entered into with us, including contracts for the purchase of event tickets, merchandise and other products and when we administer your online accounts. We also use this information to communicate with you and handle your enquiries regarding these contracts. If you order The Dons Trust activities, goods, products or services for another person (for example, membership or event tickets for family or friends) we may ask you for their personal information and we will use this to provide the services you have ordered. Please ensure that you have their permission before providing this information to The Dons Trust. If you apply for a volunteer position and/or office or job with The Dons Trust we may use your information for the purposes of recruitment and selection, corresponding with you and equal opportunities monitoring. The Dons Trust retains records of all of its financial transactions with you in order to comply with its legal obligations to maintain adequate accounting records. The Dons Trust may use (and disclose) the information it holds about you in order to comply with any investigative demand, court order or a request for cooperation from a law enforcement or other government agency. 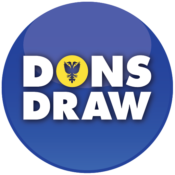 If you consent to it, The Dons Trust may contact you with news and offers from The Dons Trust and its official sponsors and partners which we think may be of interest to you. You have the right to withdraw your consent at any time. If you would like to unsubscribe, please log into your online account on the official website and change your preferences, or contact the Membership Secretary at the address above or email membership@thedonstrust.org. To whom, and in what circumstances, would The Dons Trust disclose your information? 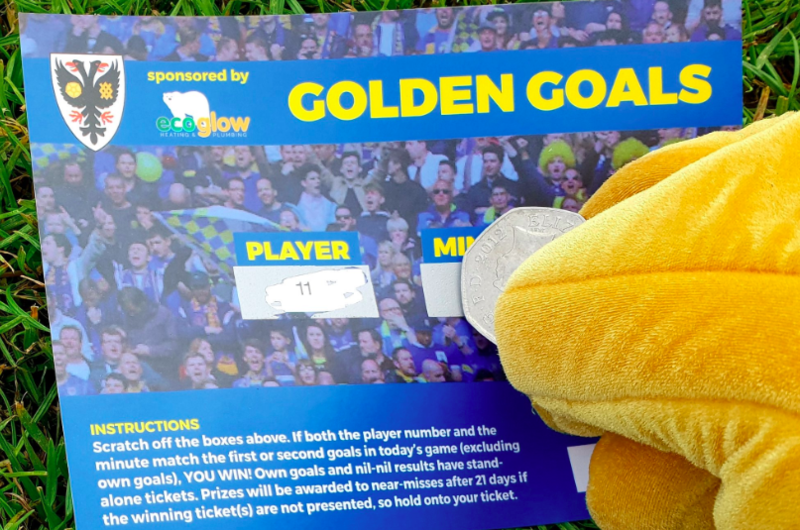 Information held by The Dons Trust may be used by The Dons Trust and AFC Wimbledon for the purposes set out in this policy. if you have consented to the same, send you information about the products and services of our existing partners in our marketing communications. prevent fraud (for example, payment card fraud) or for credit risk reduction. You have several rights under applicable data protection laws, which we have summarised below. These rights can be exercised by contacting The Dons Trust using the details given below in this policy. We appreciate that many children have access to the Internet and are fans of football and/or sport generally. We would therefore ask that parents and guardians supervise their children when they are online and that children under 16 do not submit personal information or content to The Dons Trust, make purchases of The Dons Trust activities, goods, products or services, or take part in The Dons Trust promotions or competitions, without the consent of their parent or guardian. We encourage children under 16 to consult with their parent or legal guardians before submitting or requesting any content or information to/from us. Any users of our online services who indicate they are under 16 will be asked for a contact details of their parent/legal guardian so we can verify legal consent. We will not pass on personal information to third parties for commercial purposes. We use traffic log cookies to identify which pages are being used. This helps us analyse data about web page traffic and improve our website in order to tailor it to members’ needs. We only use this information for statistical analysis purposes and then the data is removed from the system. If you want to learn about cookies and your privacy you can visit the About Cookies website. This policy has been compiled to comply with current GDPR legislation as far as we are aware and from directives currently available from the Information Commissioner’s Office as at the date stated at the end of this policy.